At the demand of several NGO’s operating in Hungary, the European Parliament will vote next week whether to impose a disciplinary process, known legally as Article 7, against Budapest because of alleged breaches of EU law. A report accuses Hungary of breaching EU law in terms of press freedom and treatment of asylum seekers and if the vote achieves a two-thirds majority in the EU Parliament the nation of Prime Minister Mr Viktor Orban could ultimately be stripped of its voting rights. Ms Judith Sargentini, European Parliament Rapporteur, stated: "I think it’s going to be a very tight vote, two-third majority is a lot. But I know that the majority of the parliament supports the report that I have written, and that was agreed upon at the Civil Liberties Committee. So we will have to see." Related coverage: <a href="https://thegoldwater.com/news/35451-Salvini-Italy-And-Orban-Hungary-Form-European-Anti-Migrant-Alliance-Video"> Salvini (Italy) And Orban (Hungary) Form European Anti-Migrant Alliance (Video)</a>. "But the message is there: Things are going wrong in Hungary and Hungarian citizens are entitled to democracy and rule of law like every other European citizen." The report states that Hungary curbs freedom of expression for journalists erodes the judicial independence and treats asylum seekers as being a "systemic threat to democracy, the rule of law and fundamental rights." Ms Sargentini added: "I don't think that it's democratic to misuse European funds and enrich your family. I don't think it is democratic to close newspapers overnight. And I do think Hungarians want to be part of Europe and they want to read independent media." Mr Viktor Orban’s government has rejected the accusations of the report, describing it as a pack of lies and a "political tool, in a political campaign." The EU institutions are organizing elections for their MPs in May 2019 and face a serious threat from the nationalist parties. 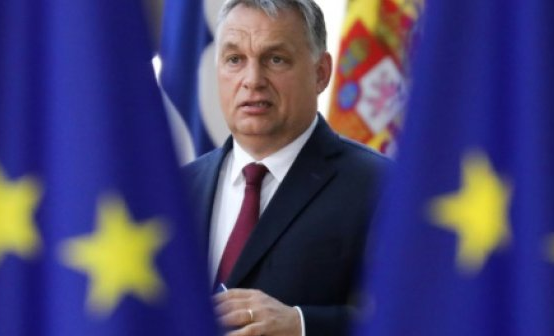 The threat of stripping Hungary of it’s EU voting rights comes one week after Mr Orban announced an alliance with Mr Matteo Salvini’s Lega Nord of Italy. Unelected officials doing what they love most……exercising tyranny. Oh,they pass off these measures as for your own good even though it harms you. Someone needs to post where these people live.